Introduced along with the nicely reworked Navigator SUV in 2007, Lincoln’s MKX continues for 2008 as the first crossover utility vehicle (CUV) to wear the Lincoln badge. 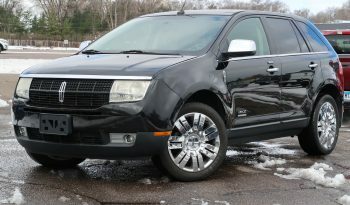 The 2008 Lincoln MKX is a welcome addition to the luxury brand’s stable. Lincoln is far from first to the car-based “crossover” party, but the MKX is fresh in terms of its generally excellent blend of style, function, features and driving dynamics. One thing it does not have — somewhat surprisingly, given its fairly substantial size — is an available third-row seat. Three-seat CUV seekers can check out Ford’s less expensive and more conservatively styled Freestyle, but there is no Lincoln version of that. 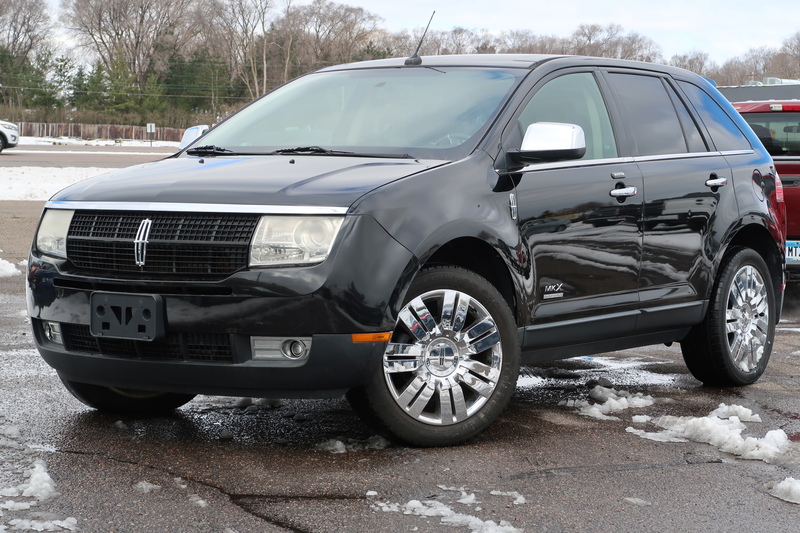 If the styling appeals, the features delight, the price is right and you’re ready for a credible alternative to some better-known imports, this handsome 2008 Lincoln MXK CUV may be an excellent choice. New for 2008 are standard heated and cooled front seats, Reverse Sensing System, memory seats and mirrors and power lumbar support for both the driver and passenger. New options include the SYNC hand-free communication and entertainment system which allows for the synchronization of cell phone and MP3 player media through the vehicle’s stereo and two new limited trims: The Limited Edition and Monochrome Limited Edition Packages. We found the 2008 Lincoln MKX’s acceleration subjectively excellent from rest or almost any speed, though no manu-matic feature is provided for those who sometimes like to select their own gears. The MacPherson strut front suspension uses ride-smoothing hydro bushings on an isolated subframe. The four-link independent rear suspension has outboard rear shocks for improved wheel control. The available “intelligent” all-wheel drive monitors and predicts traction at all four wheels and delivers torque to those with the best grip. It all works surprisingly well to deliver a near-car-like ride and agile handling despite its 4,220-pound base curb weight. This may be the quietest Lincoln ever built, but (partly to accommodate the huge Vista Roof) there’s no front passenger assist handle.